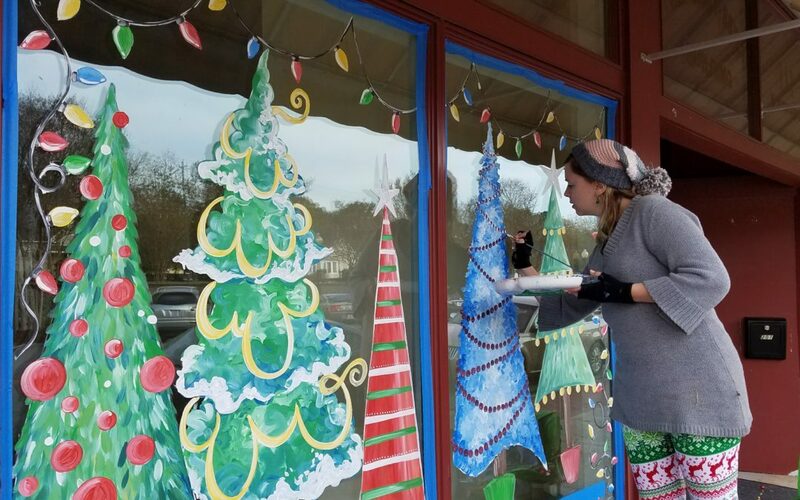 Downtown Garner and GrafixHouse are now seeking artists for Paint on Main, our holiday window painting project. 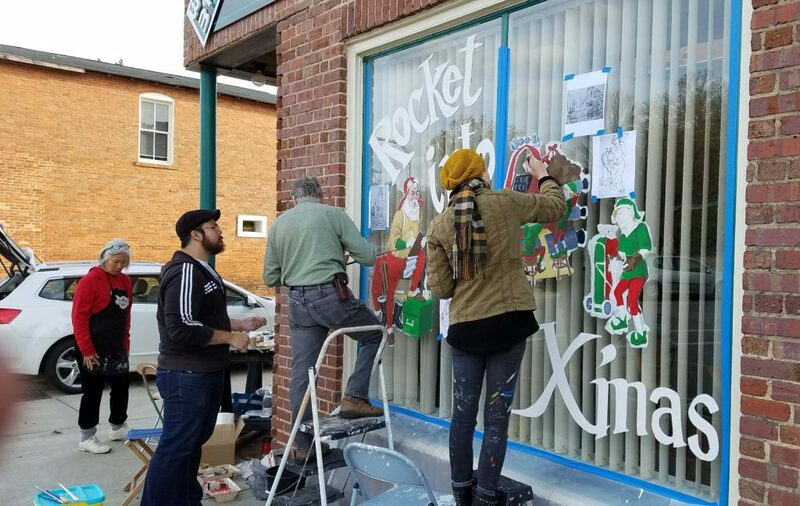 Each year, Paint on Main transforms Main Street’s business district into a winter wonderland from Thanksgiving to New Years – last year, hundreds of citizens came to Downtown Garner to check out this great community art project! Interested artists should attend an interest meeting for Paint on Main on Thursday, Nov. 8 at 6pm. The meeting will be held at GrafixHouse at 114 E. Main Street in Downtown Garner. Please RSVP to Stacy Kolacz by October 20 by emailing stacy@grafixhouse.net. If you can’t make it to the interest meeting, please send us an email to let us know you’d like to participate. October 31: Artists must submit a rough draft or proof of their artwork by October 31 to be assigned a window. We’re looking for artistic scenes featuring Holidays (Christmas, Hanukkah, etc) and winter elements (snow, snowmen, holly, etc.) Artwork that incorporates or reflects the hosting business is highly encouraged! November 17: ARTISTS MUST BE AVAILABLE TO PAINT ON SATURDAY, NOVEMBER 17. We cannot accommodate painting outside of this time frame. Window prep and Orientation will start at 8:00am; painting will take place from 9:00am to 5:00pm. November 30 & December 1: Artists and community members are invited to attend Light Up Main and the Garner Christmas Parade, where their work will be highlighted as part of the Town of Garner’s holiday festivities! January 5: Artists must return to assist with removing paint following the winter holidays. We ask artists to donate their time and creativity to make this project a success. Painters are encouraged to bring their own supplies if desired – particularly tools, brushes, and step stools. Painters may bring additional colors – PLEASE NOTE: Paint must be flat interior latex ONLY! If you have any questions, please email Mari Howe, Downtown Development Manager at mhowe@garnernc.gov or Stacy Kolacz at stacy@grafixhouse.net. Pranksters rejoice – April Foods Day Returns! To lead development of Historic Downtown Garner as a vibrant business, entertainment and cultural center through public-private partnerships.